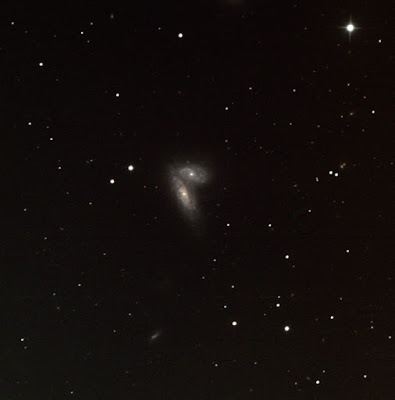 After some FITS Liberator homework and practice, I prepared the new NGC 4567 & 8 galaxy FITS images and assembled with Photoshop in LRGB. From the RASC Finest list, The Siamese Twins. 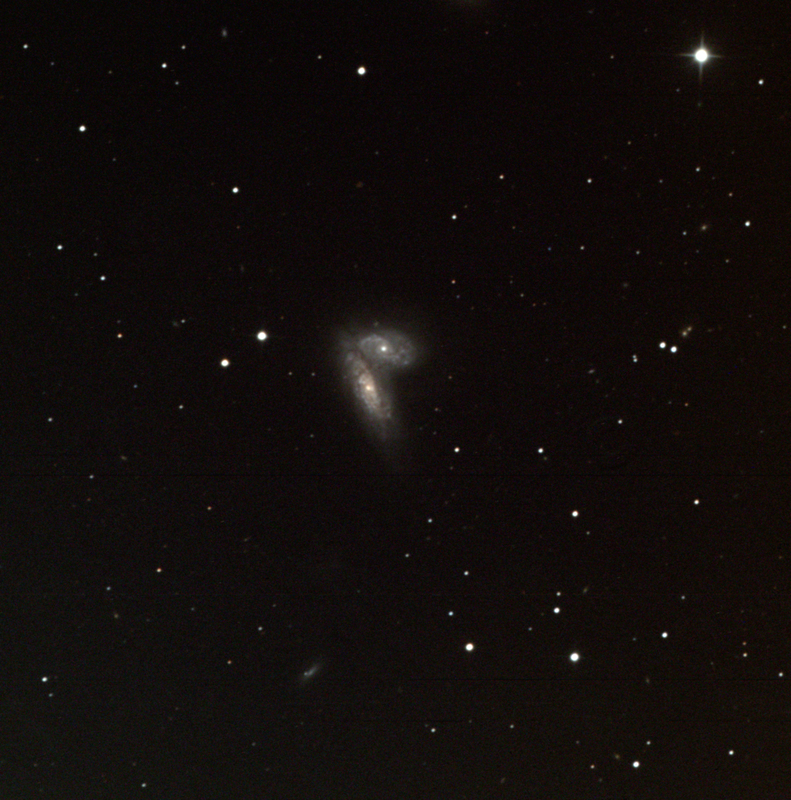 Data from the second imaging run on 29 Apr with a higher minimum altitude setting (50). Luminance 60 seconds by 10 exposures, red 60x5, green 60x5, and blue 60x5. Used the good data from last night.